It’s an honor to announce two additional players that will be participating in the IceCricket event in February 2018: Welcome to Michael Hussey and Monty Panesar. Every cricket fan knows them both, but we want to introduce them here. 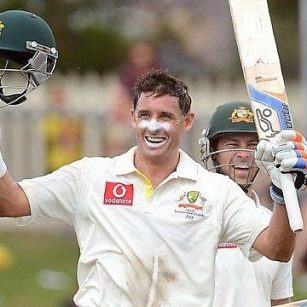 Michael Hussey is an Australian batsman with an innings average of over 50 runs per wicket. In other words, there is hardly a more efficient batsman on the planet. This brings the 42-year-old the nickname Mr. Cricket. But how efficient will he be on a snow covered frozen lake in the cold and thin mountain air? We are curious. Meanwhile, Monty Panesar is accustomed to cold temperatures. The 25-year-old Englishman with Indian roots is a left-arm spinner. Former England captain Andrew Strauss once said of him: “He’s the first on the ground and while most of the others are already in the pavilion after training, he’s still working on his form and technique.” We look forward to witnessing his spin bowling action in St. Moritz.